Futuredontics, a wholly owned subsidiary of Dentsply Sirona, announced the launch of Dentistry.com in the United States. 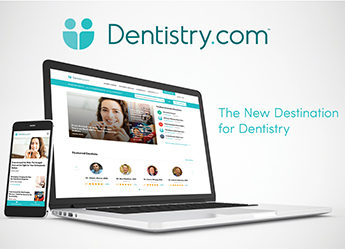 Positioned as “The New Patient Destination for Dentistry,” Dentistry.com’s main purpose is to maximize practice production by building stronger relationships between dentists and patients. It features a search engine for patients that supports filtering by a number of criteria, including insurance network. Additionally, the site offers a comprehensive directory of dental practices across the country and provides patients with the ability to request or schedule appointments online. Dentists can claim their profile on Dentistry.com’s directory of dental practices. This allows dentists to manage their own page on the site where they can list information about themselves, their practice, and other relevant information that would assist patients regarding their search. Dentistry.com offers access to national and local audiences, improves website SEO, and helps dentists connect with more new patients by listing services, insurance plans, business hours and more. The site enables patients to request or book appointments online. For more information, visit: www.dentistry.com or www.dentistry.com/Decisions to complete a free profile.